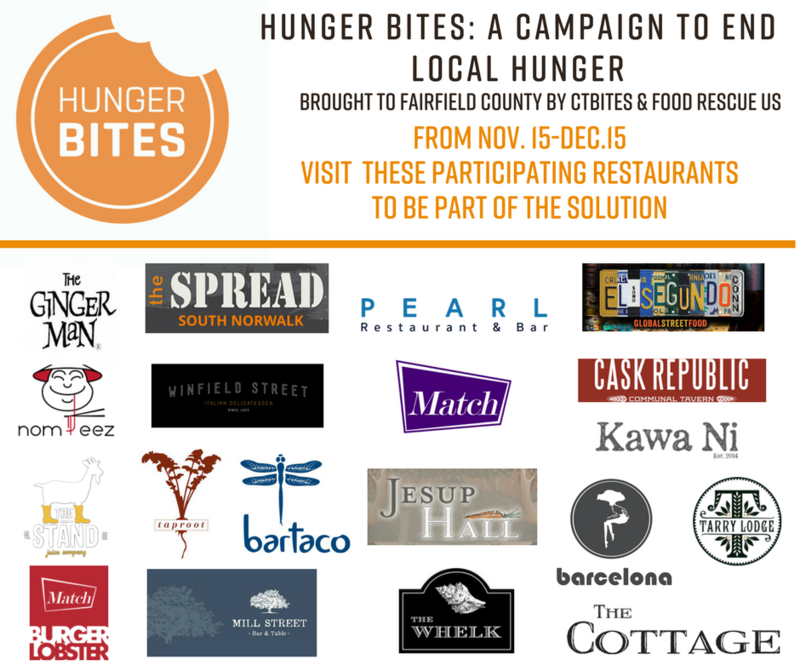 Starting November 15th, diners can help feed the hungry while eating at their favorite local restaurants. CTbites is pleased to have joined forces with Food Rescue US to launch Hunger Bites, a program allowing restaurants and diners to join together in the fight against hunger. If you see the Hunger Bites logo at your local restaurant, please consider donating $1 on your guest check, By giving just $1 today on your bill you'll provide 20 fresh, nutritious meals to people in need in your community. Every dollar donated to the Hunger Bites campaign supports Food Rescue US' mission to end American food insecurity by directly transferring fresh, usable food that would have otherwise been thrown away to food insecure families. To make a bigger difference, you can make a donation of any amount on your bill. Learn more about Food Rescue US here.